Since we’re on the road so much during the summer months on camping trips, it’s crucial that we find secret weapons to keep our kids content and occupied on the road. Along with our other Camping with Kids Essentials that I shared a couple weeks ago, there is one very crucial component to our traveling successes: Gerber snacks. Our kids have both always been “grazers.” They eat almost non stop, all day every day. You will rarely find them without crumbs of some sort on their shirts, non-sticky hands, or, thankfully, empty bellies. So when they’re stuck in their carseats for 4+ hours, the hanger tends to hit hard – leaving us searching for something to keep our happy campers happy! 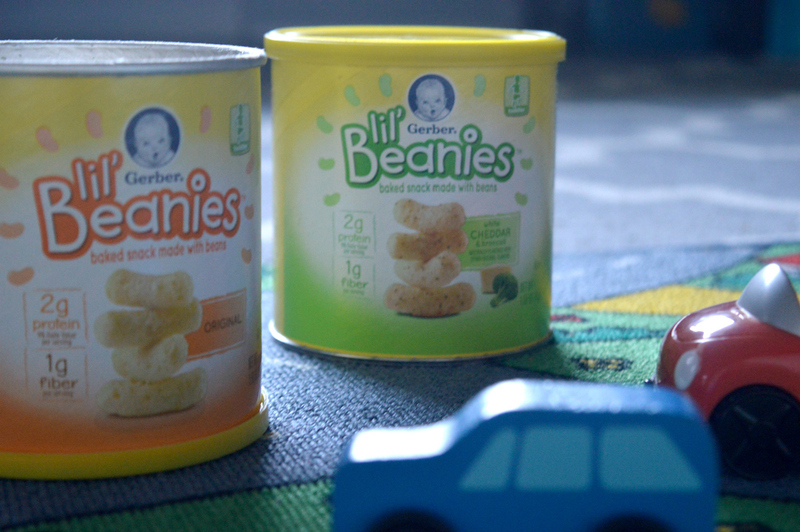 Basically since the day they sprouted teeth, they have both been obsessed with Gerber snacks, particularly their beloved “Lil’ Crunchies.” So when I was approached for an opportunity to try out the latest from Gerber, I was excited to see what “Lil’ Beanies” had to offer! Lil’ Beanies are naturally flavored from navy beans – White Cheddar & Broccoli and Original flavor – with 2 grams of protein and 1 gram of fiber per serving, making them both delicious and nutritious! Huck took the most liking to the new flavors, and true to form, devoured almost an entire can in one sitting. The kid can put it away! Gerber snacks are our go-to for more than just travel: effortless grocery shopping trips (Grab a can or two from the display while you shop and the kids stay content the whole time! ), quiet(er) waiting room visits at doctor’s checkups, and – of course – happy snack times! Much like their Lil’ Crunchies counterparts, Lil’ Beanies have officially secured a regular spot in our snack cupboard and camping backpacks. 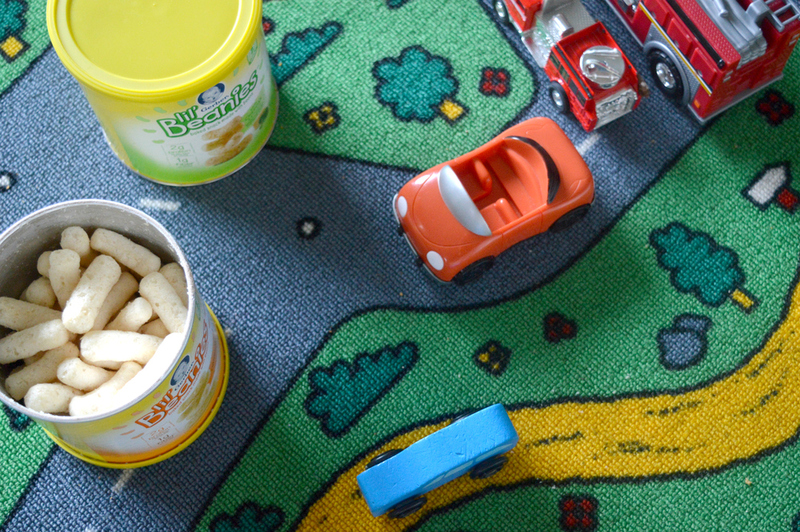 Head over to the Gerber website to learn more about this new, naturally flavored snack; or stop by your local Walmart store like we did so your kiddos can enjoy them firsthand! Side note: Does anyone else pronounce the names of these snacks like rappers’ names? I can’t help but feel like there’s a parody video hidden in here somewhere!